New York, NY (August 12, 2018) –Travel Leaders Corporate has rolled out its new CONNECT 2.0 mobile texting tool, available to all corporate clients in the U.S. and Canada. SMS-based CONNECT provides business travelers with 24/7 real-time booking information and alerts about disruptions to their flight arrangements. The tool allows travelers to easily connect with a live specialist via text for support in making or changing air, car and hotel reservations without standing in line or sitting on hold. CONNECT is also available to all Travel Leaders Group agencies. Travel Leaders CONNECT typically works like this in the event of a travel disruption: When an airline announces a flight cancellation or delay, or if there is a weather or other incident affecting travel, a business traveler receives an instantaneous alert and can chat with an agent via text to request information on alternate arrangements. CONNECT sends a welcome message and invitation to chat after a traveler makes a booking, followed by an invitation to check in via a hyperlink 24 hours before a scheduled flight. 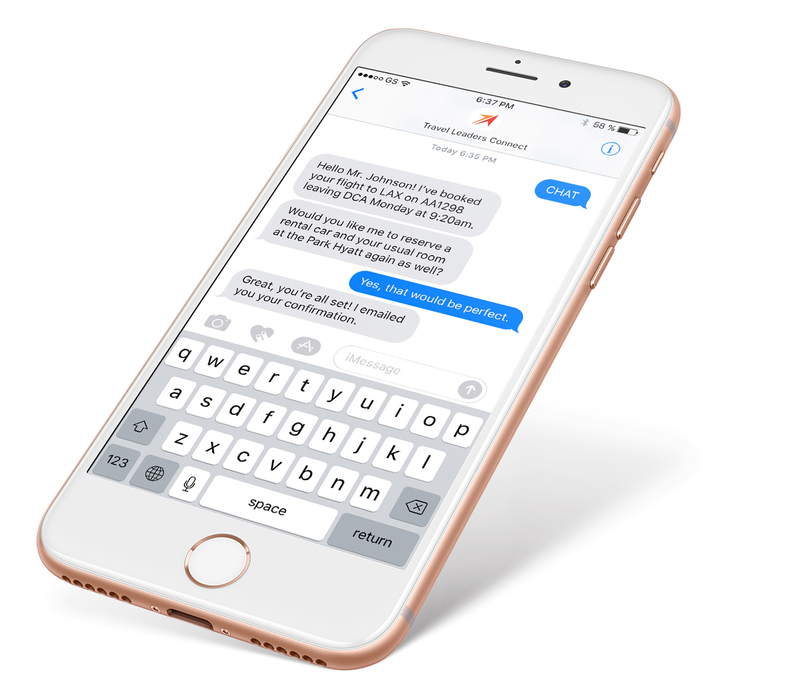 CONNECT sends a text updating the traveler on flight delays or flight cancellations within the 24-hour window to departure and if the flight is on time, CONNECT sends a text four hours prior to the flight. “CONNECT uses SMS, the most widely-adopted digital communication system. Users don’t need a WiFi connection or an app and corporations don’t need to worry about travelers installing software on their company owned device,” said Rizzi. CONNECT works with all smart phone operating systems and tablets. The previous version of CONNECT routed the traveler through an online portal; the latest version is all-SMS and works on any device. Travel Leaders Corporate is offering the service to clients with no contract and for a flat usage fee.